Aw, this is such a cute t-shirt! 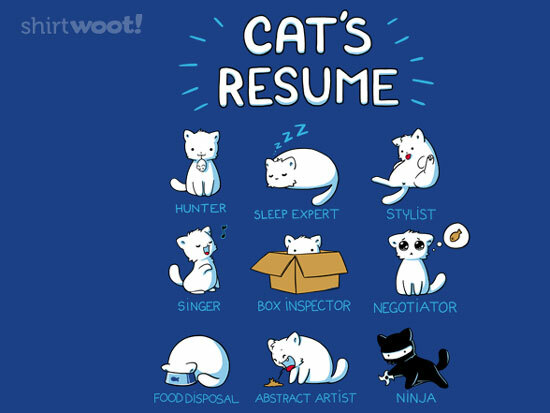 It’s also exactly what my cat’s resumé would look like. I think the only things that are missing off their one though is “alarm clock” (they’ve been waking me up at 6:30 for the past week) and “interior decorator” (the amount of hair they’re shedding is awful). You can get the tee for $15 on shirtwoot!.